OUR FIRST ART EXHIBITION FOR 2019. 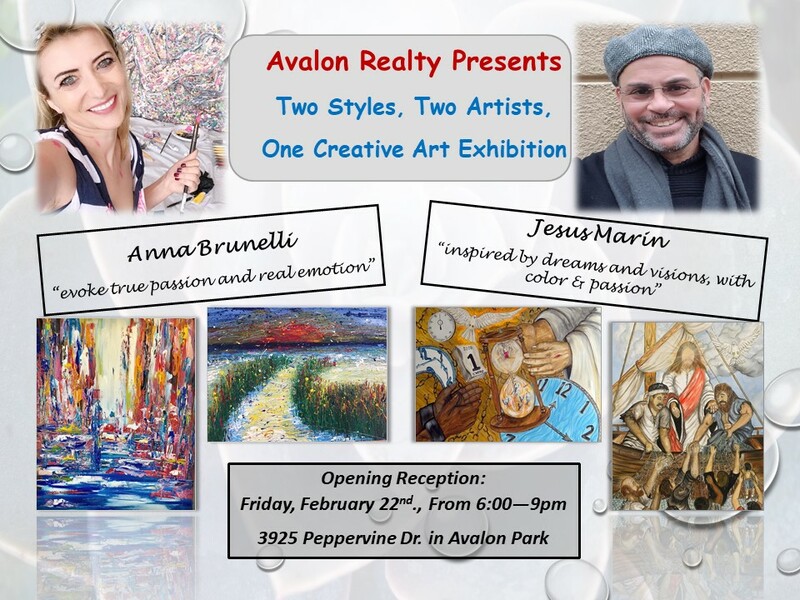 Featuring, by Popular Demand, The Return of Anna Brunelli and Here for the First Time, Jesus Marin. It promises to be a fun fill evening of Fine Art, Fine Wine, & Great Conversations with Old Friends and New! JOIN US. FRIDAY, FEBRUARY 22nd between 6 – 9 pm.